Alexandria, Virginia is located along the Potomac River, six miles south of Downtown Washington, DC. The historic town is north of I-95, south of I-395 and west of Route 1. This map of Alexandria serves as a guide to help you navigate your way to the popular neighborhood and find the major attractions. The heart of Old Town centers from King Street (Route 7) near the King Street Metro station to the waterfront and the Torpedo Factory Art Center. See a closeup map on the next page. Metrobus also provides service to Alexandria from around the region. DASH (Alexandria Transit Company) provides bus service around Alexandria and between its Metro and the Pentagon Stations. Amtrak also stops at the King Street Metro Station with routes that serve major cities including Boston, New York City, Newark, Philadelphia and Baltimore. 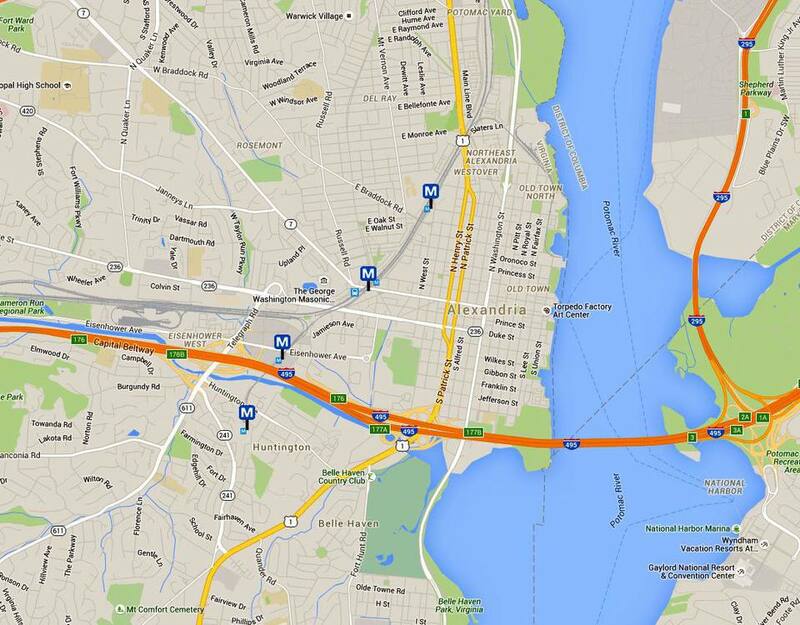 Take I-395 to King Street/VA-7 Exit 5. 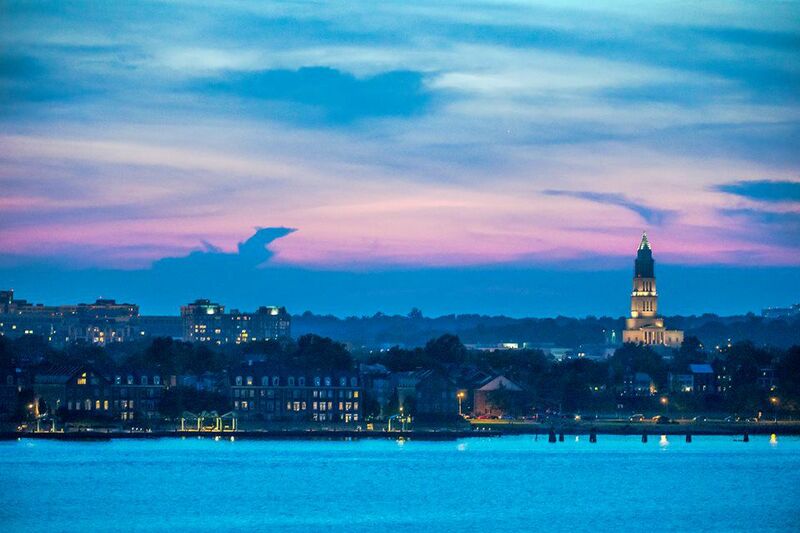 For more information about public transportation, dining, sightseeing tours, annual events, and more, see a profile of Alexandria, Virginia.